I always like seeing houses that architects design for themselves because you can tell how much thought went into every detail. Thanks to David for sharing his with us! For more photos and details, check the listing. I like the house ….but I would have a bit more colour ! 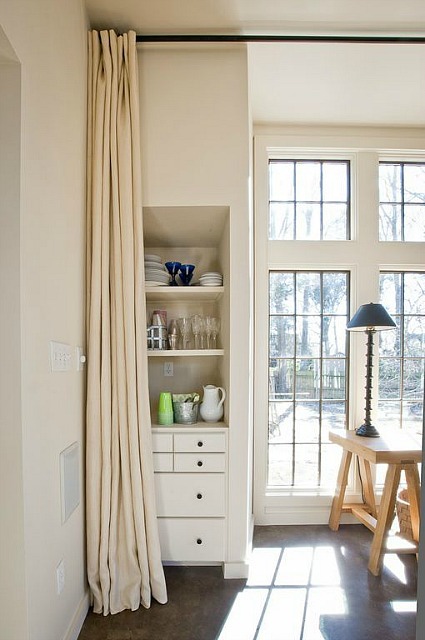 Lovely house, loved the floors, loved the way the curtains were hung and the hidden storage. 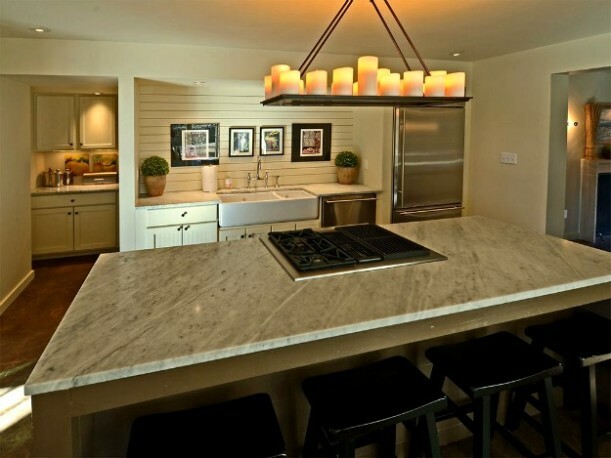 The only thing that gave me pause was that fixture over the cooktop. What a nightmare that would be to keep clean! LOL! My thought exactly! I’m so used to cooking under an exhaust hood – I hate to think what the ceiling looks like. Maybe they don’t cook… I also thought the eating nook seemed a little cramped between the island and the window. I have a similar set up (cooktop with chandelier over top). We have a downdraft exhaust fan for cooking purposes. I cook 3 meals a day in our kitchen and we’ve had no problems with smoke/food stains. As for my thoughts on the house, it seems to be lacking softness and reads as cold. 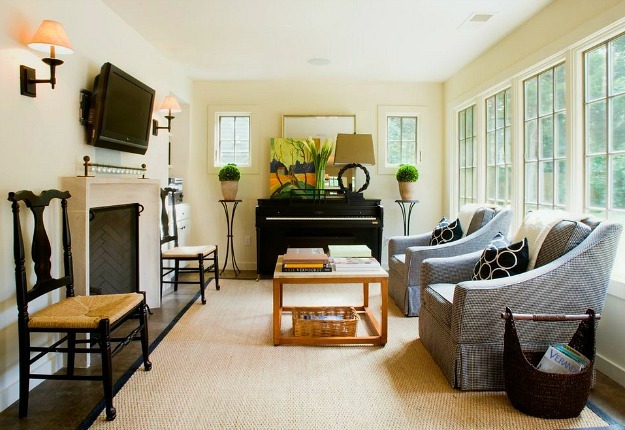 Many times though homes get staged differently for photos than how they are actually lived in. No matter my thoughts, I’m sure the family who lives there is happy and that’s all that matters. 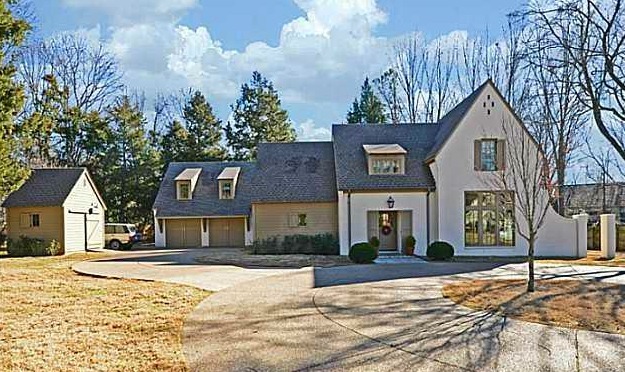 This house is outside Memphis, not Nashville. Nice house, very much an architect’s house. It’s a beautiful home. It has a Martha Steward starkness element that I like to look at for a little while, but don’t think I could live with everyday. It seems ashame that so much work has been put into every detail of building this dream home – why are they selling? Well, I kinda like the house but, a few things I”m not sure about. I’m not sure about that room with the twin beds. It just seems too generic. 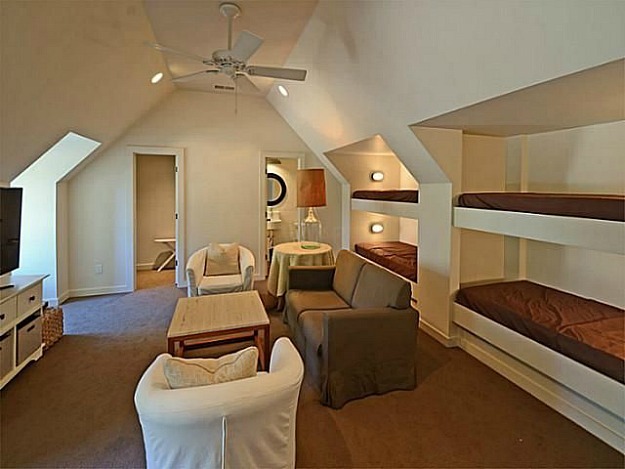 Also there is that room that has four beds built into the wall. What are these for? It makes me think of a motel or a ski resort that needs lots of beds for skiers. 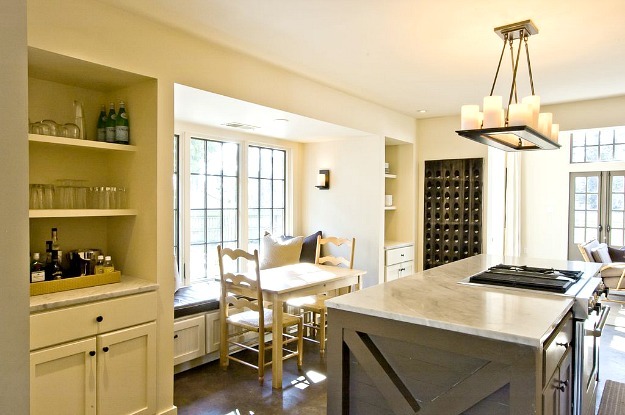 But I do like the kitchen, Also I like the hidden storage in the main room. That is a really unique idea. I love this house. I love that it doesn’t have a theme (beach, tuscan villa, Spanish colonial, early American). There is room for real people and their possessions in this house. It is not trendy. It is simply lovely. My thoughts exactly. Reminded me of Bobby McAlpine. There are many features I like and some I don’t, as in most homes. Most of all, it feels cold to me and I don’t see any furniture that looks very comfortable. The eating area in the kitchen looks pretty tight. I’m sure that it is very comfortable to the owners…we are all individual with different tastes, I congratulate him on designing such a unique home! I really like this house. I like the muted colors and the modern touches. It seems like a scandinavian house, very minimalistic. I love the floorplan. It didn’t strike me as cold, but maybe because I don’t mind the colors but I feel like different furniture and patterns would take away from the aesthetic of the house. Thanks for sharing. I really love this one. 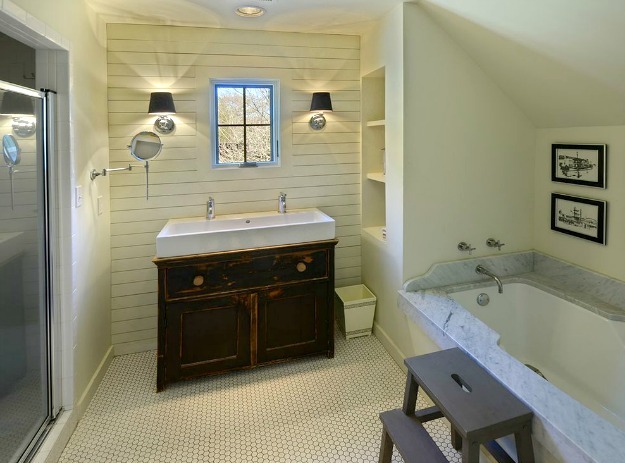 This house is very nice and it has my dream master bath! 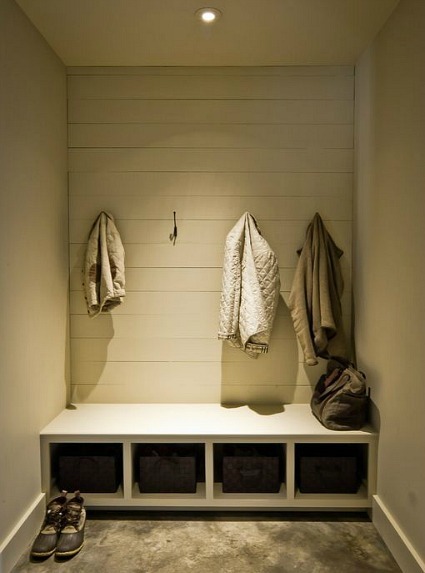 I’ve wondered for years why builders make our large bathrooms and closets when I’d have preferred ours to have two smaller baths and closets – one for each of us. Of course, then it would just be another one to clean. Oh well! I absolutely LOVED everything about this house. Such thoughtful attention to detail makes my heart beat faster!! I wonder how long it took to create such a wonderful home??? Very cool. Perhaps too cool. It doesn’t look lived in to me – more like a showroom. And those concrete floors would wreak havoc on my poor runners/tennis knees. I do appreciate the design however! It is well done. He appears to have forgotten about the exterior environment and how it relates to his masterpiece. 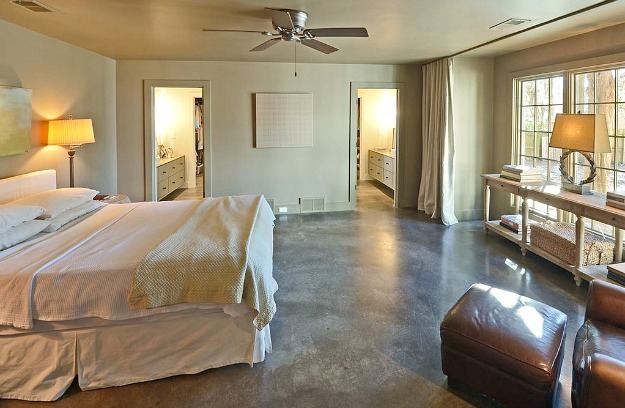 gotta say I love those stained concrete floors… very smart for the wear & tear of kids and pets! Until one of the kids falls and cracks his head open. 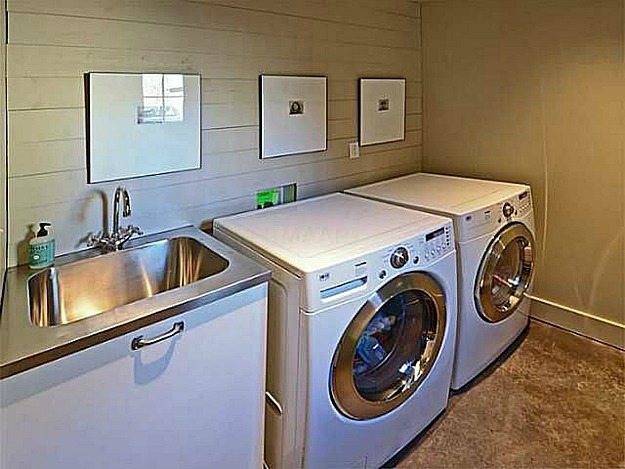 I liked the laundry room a lot (of all rooms). 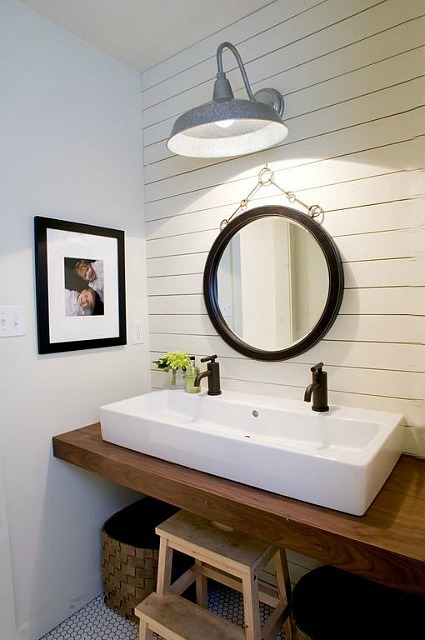 I am looking for ideas on ours… I liked how the utility sink worked and the fact they left the counters off over the top. We have learned a lesson on that. We put counters over the top, and the average size of appliances increased. ARGH. Also makes install very difficult, so I like their solution. Wow, I love this home. 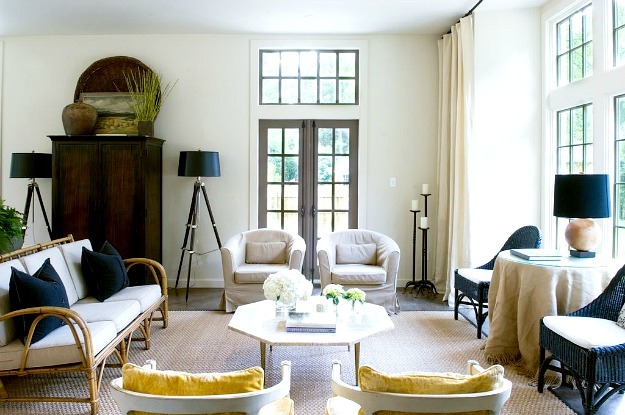 Love the minimalistic nature and farmhouse touches without being too cliché. Lol @ anyone considering a late 70s development “an older neighborhood.” I do like the windows and that cool “Sandeman” painting. Like others, there are things I do and don’t like about this house, but I must say, it’s much nicer than most modern homes I’ve seen. Really tired of the colorless homes! Beautiful house with some genius decorating solutions! I love the hidden built in behind the curtain! I live in the same suburb of Memphis- how nice to see a different type of home here! 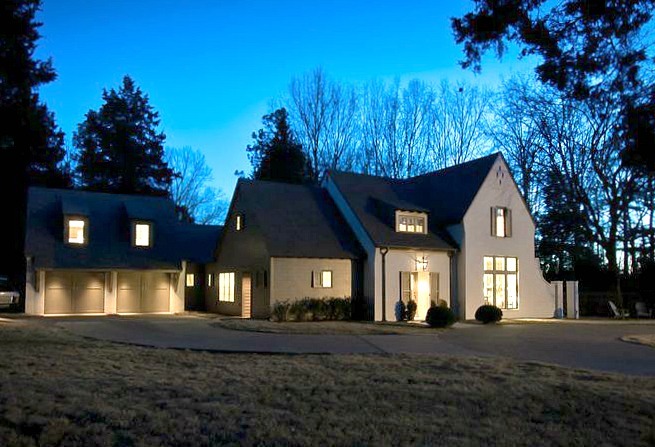 The majority of homes in Germantown and Collierville are boring to me- because they look the same inside and out. Love this one! I really like this home. I can imagine this being a calm and soothing place to come home to every day. It has lots of natural light and an airiness about it. The storage solutions are very practical and would make family living comfortable. I actually loved the built-in bunks on the upper level. How fantastic would they be for kids’ sleep-overs or for the holiday season, when loads of relatives descend on us? I love it. Well done David. I agree that the home looks calm and tranquil. 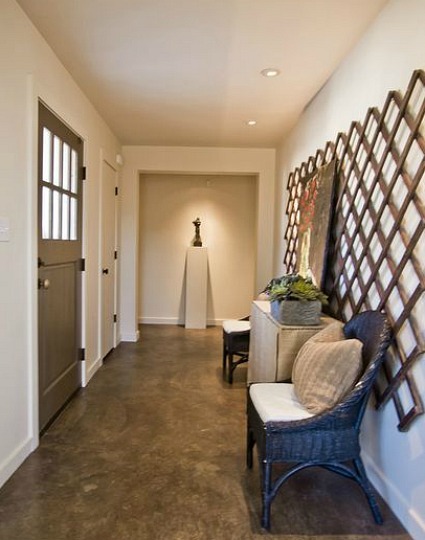 The cement floors sound low maintenance, but they aren’t the first type of floor that comes into mind for having young kids. Overall, cool architectural home — great kitchen, great windows, and I love the bunk bed room! Amazing! 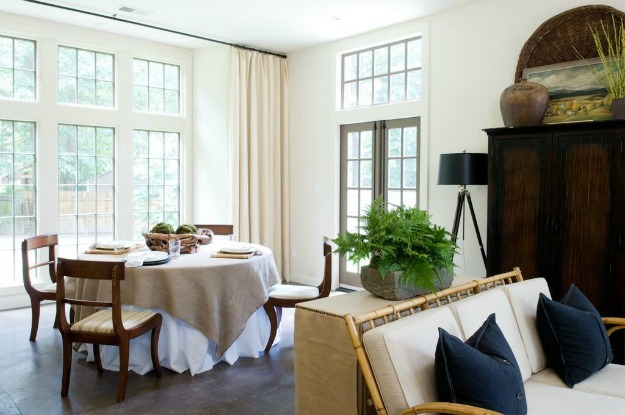 Loved everything about this house – the colour palette, the windows and window treatments, the floors, the bathrooms….perfection! Love the high ceilings, concrete floors, the bunk room and the master area. Live this home. I wonder if David deliberately designed with Hugh Newell Jacobsen in mind. 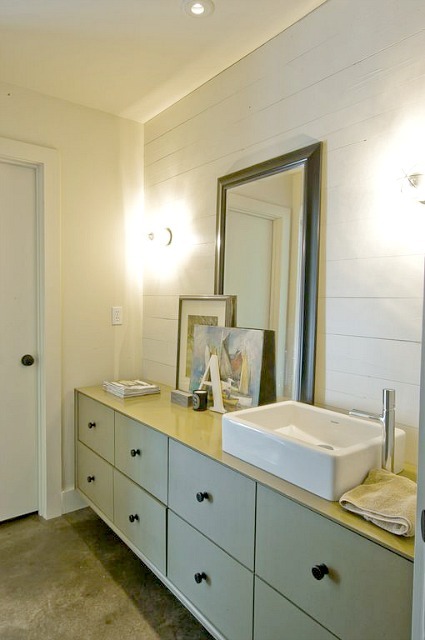 I love what someone called “colorless” color scheme: so calm and spirit-refreshing, given interest through texture. Deftly done. 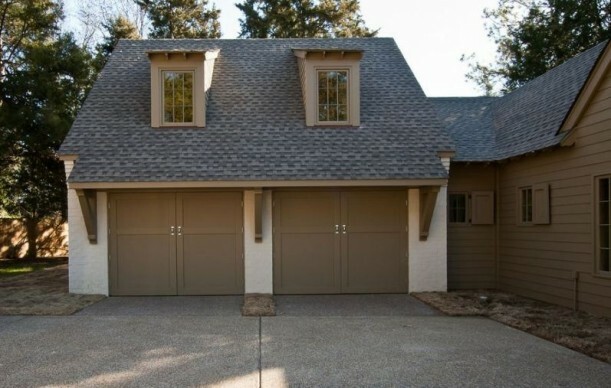 The exterior is elegant, restrained and tasteful. Can’t wait to see what he designs for his family next! I absolutely love this home. If I had the money I would buy it in a heartbeat. 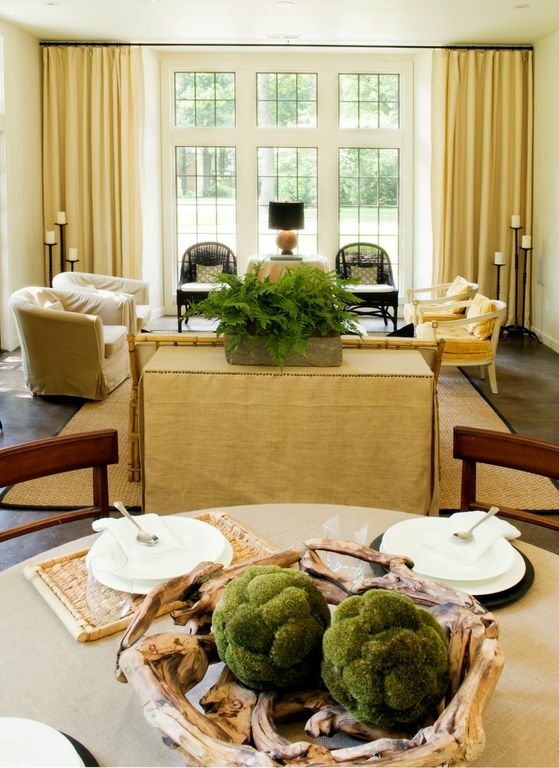 Love the color of the window trim and the hidden storage behind the curtains. Beautiful. Like this house very much indeed— and agree with poster above who commented on how nice it is to see a home decorated without a “theme” of Tuscan villa, French country, cottage, etc. The materials look to be of good quality and there is a consistency to the design that is wonderful. I am not sure if I could live in a muted palette like this one but this house almost makes me want to try. I think the secrets to a successful marriage are separate closets and separate bathrooms. I would love to have both in our house. And when you think that most master bathrooms have double sinks, and the architect/owner and his spouse share the shower and tub, then there only is one “extra” toilet as compared to the usual master bath. I liked a lot in this house, and agree that it could be customized to almost anyone’s taste through decor. 1.landscaping outside to make it have more curb appeal. 2. More color inside to warm it up. More art on the walls. This house depressed me. Certainly not my taste. My friend recommended this website to me. it’s wonderful!It’s amazing how interesting it is for me to visit you very often.